The Imperial Shrine of Yasukuni, informally known as the Yasukuni Shrine (靖国神社 or 靖國神社 Yasukuni Jinja), is a Shinto shrine located in Chiyoda, Tokyo, Japan. 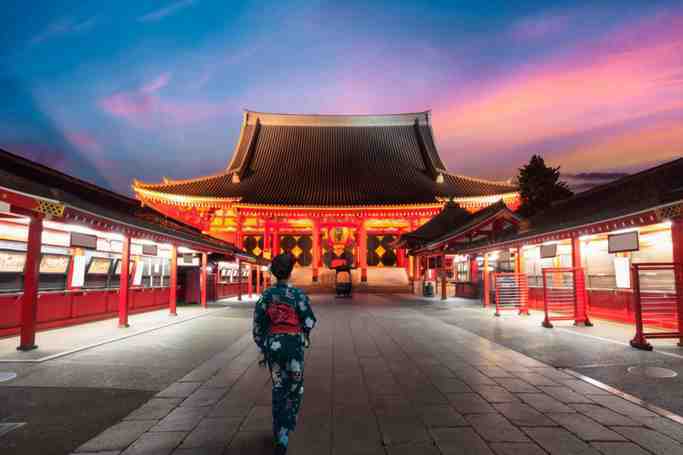 It was founded by Emperor Meiji and commemorates those who died in service of the Empire of Japan, which existed from the Meiji Restoration of 1869 until the nation was renamed during the Allied occupation in 1947. The shrine's purpose has been expanded over the years to include those who died in the wars involving Japan spanning from the entire Meiji and Taishō period, and lesser part of the Shōwa period. The shrine lists the names, origins, birthdates, and places of death of 2,466,532 people and animals. Among those are 1,068 considered war criminals, 14 of whom are considered A-Class (leading to the Yasukuni controversies). Another memorial at the Honden building commemorates anyone who died on behalf of the Japanese empire, but includes Koreans and Taiwanese who served Japan at the time. In addition, the Chinreisha building is a shrine built to inter the souls of all the people who died during WWII, regardless of their nationality. it is located directly south of the Yasukuni Honden. The building located directly behind the honden is known as the Reijibo Hōanden (霊璽簿奉安殿) (Repository for the Symbolic Registers of Divinities) built in styles of Kirizuma-zukuri, Hirairi, and Doubanbuki. 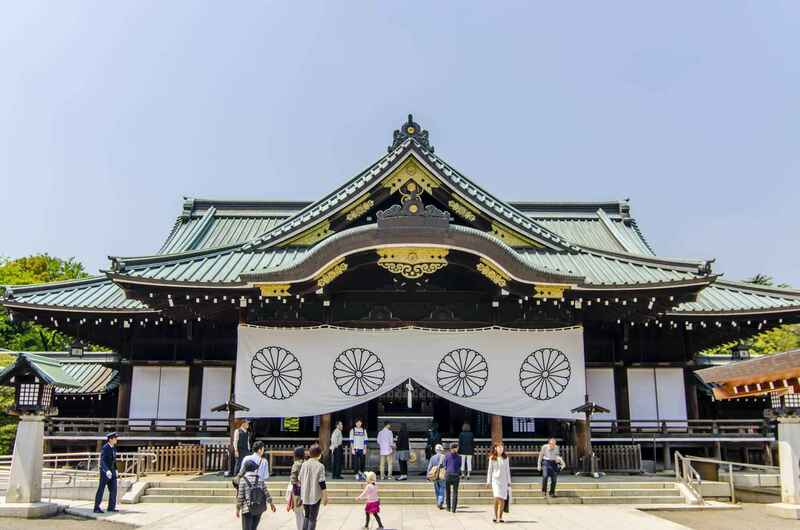 It houses the Symbolic Registry of Divinities (霊璽簿 Reijibo)—a handmade Japanese paper document that lists the names of all the kami enshrined and worshiped at Yasukuni Shrine. It was built of quakeproof concrete in 1972 with a private donation from Emperor Hirohito. The Daini Torii (Seidō Ōtorii) is the second torii encountered on the westward walk to the shrine. It was erected in 1887 to replace a wooden one which had been erected earlier. This is the largest bronze torii in Japan. Immediately following the Daini Torii is the shinmon (神門). A 6-meter tall hinoki cypress gate, it was first built in 1934 and restored in 1994. Each of its two doors bears a Chrysanthemum Crest measuring 1.5 meters in diameter. West of this gate is the Chumon Torii (中門鳥居) (Third Shrine Gate), the last torii visitors must pass underneath before reaching Yasukuni's haiden. 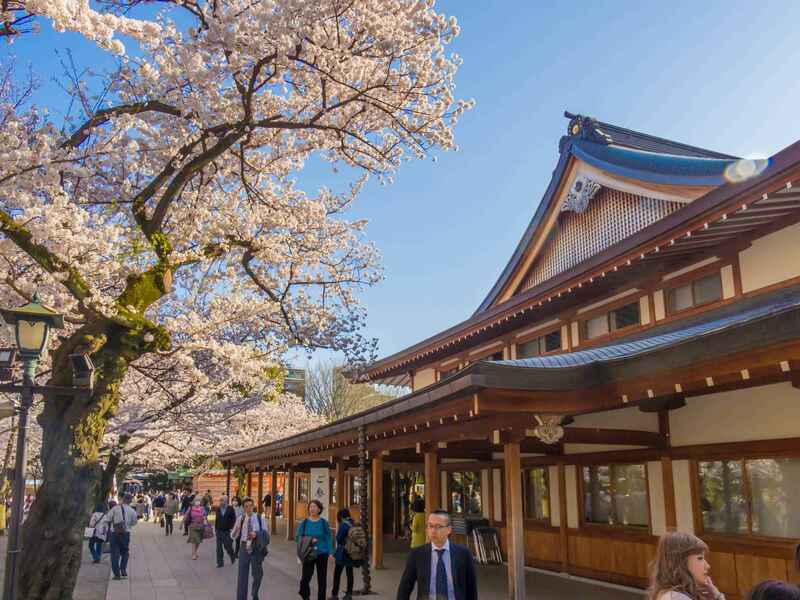 Yasukuni Shrine | eTips Inc.